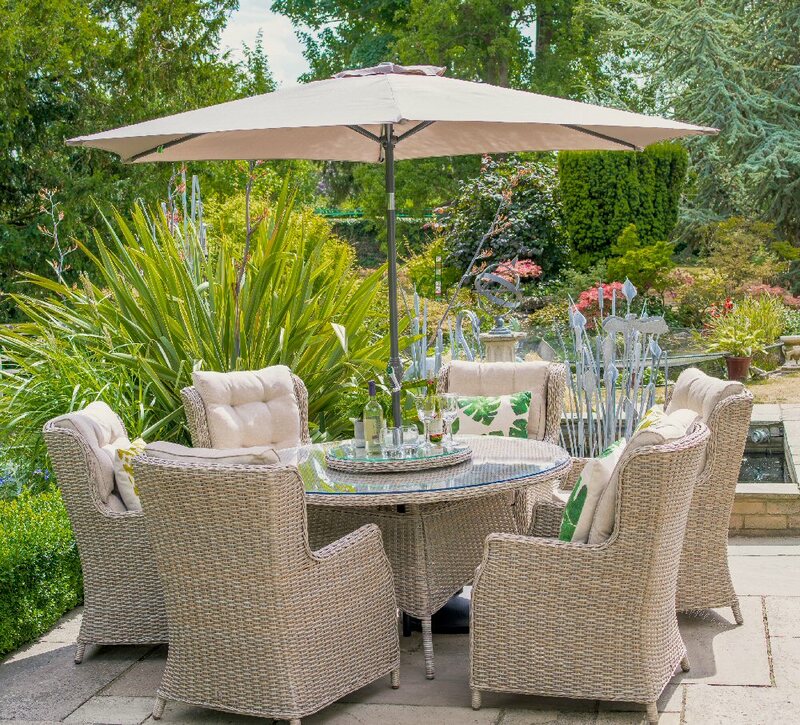 Toulon 6 Seater Highback Dining Set with Parasol. Mixed Grey weave frame with blended oat colour Eden cushions. 5mm safety glass on tabletops. Polyboard inserts under tables so no excessive sagging in the sun. Flared back design for ectra comfort. Weave detail on top of chair arms. Seasonproof EDEN cushions -water repellant, UV resistant,superior "comfort filling" and natural feeling fabric. 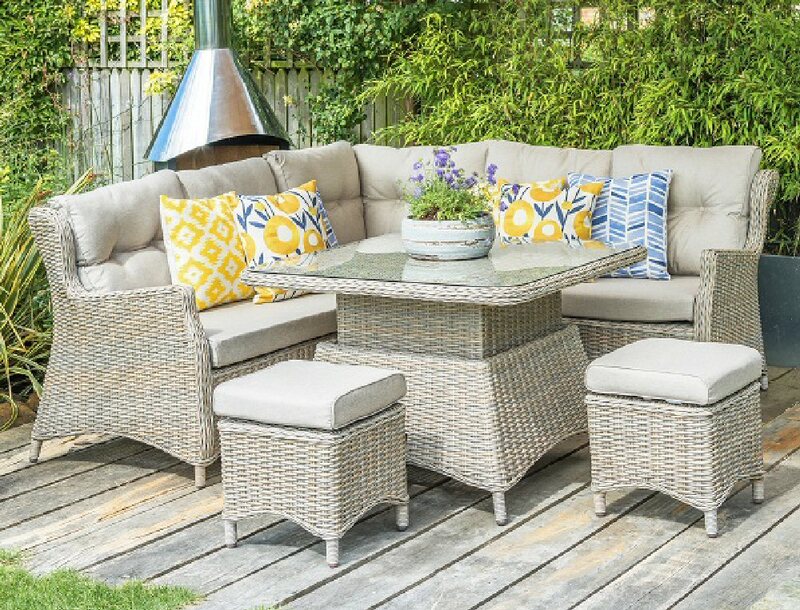 Set consists of 6 Toulon Highback dining chairs,one 140cms dining table,one 15kg Parasol base and one 3.0m Horizon Parasol Colour Taupe. Price Includes assembly and delivery anywhere on the Island of Ireland. (North & South).